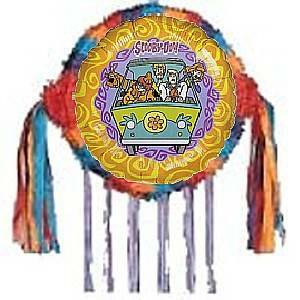 Although having a piñata at every event has become a unique family tradition for the Munce family, piñatas originated many years ago by the Aztecs. They celebrated the god Huitzilopochtlis birthday by bringing a clay pot to his temple. The pot was heavily decorated with colorful adornments and inside it was filled with little treasures. To break the pot it was hit with a stock and the treasures that spilled out where a tribute to the god. Many cultures strike the piñata with their eyes covered with a blindfold. This is meant to be a representation of ones willpower and blind faith in overcoming the temptations that are thrown at one. (Menzies). 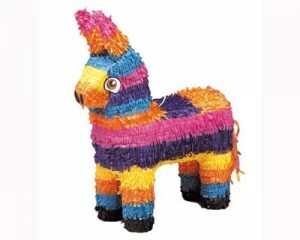 The piñata embodies so much more then just hitting an object and making items fall from it. It encompasses the ideas of the unexpected and the unknown. Blindfolding forces one to undertake a degree of trust in the people that are surrounding him or her. A person is unaware of what the people are doing around him/her as he cannot see but still participates in the event and take a chance at hitting an object uncertain of its position. 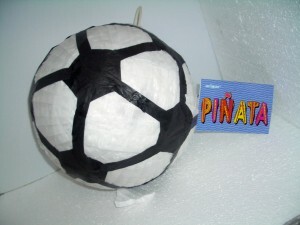 Additionally one has been spun around many times in order to make one dizzy and this makes hitting the piñata even more difficult than it initially was. This concept frequently takes place in life itself. Often the situation or circumstance is unclear and one has to use faith that whatever the experience or outcome holds there were will be some positive element that will emanate from it. Menzies, Gavin. 1421 the Year China Discovered the World. London: Bantam P, 2007. Estela Flores had a family tradition where a handkerchief was passed down as a good luck symbol for the women of her family to carry when they walked down the aisle. It was a handkerchief that her great great grandmother embroidered and it was white and lacey and had embellishments in the corner. Since there were several daughters in the family it was passed back to the mother to keep for the next wedding. It served as a security blanket for her family. When Estelas own wedding approached she was given the handkerchief. She carried it down the aisle with her but was not able to recall how she managed to lose it between the church and the reception. She felt an immense amount of guilt at the time but as she reflected back on the situation, she realized the loss of the handkerchief was mostly likely a bad omen, as her marriage ended thereafter. As a result her younger sister who married after her never got to carry the special handkerchief but her mom found something similar that she had from her youth and so the tradition has carried on although not with the original item. The family wanted to ensure that this family tradition carries throughout the generations are so were willing to sacrifice the real handkerchief in order to keep the ritual alive. This tradition is specific to the Flores family but in many circumstances people possess items that they believe to be lucky or unlucky. Some people have certain good luck items they have with them before important exams or others have specific game day preparations that need to occur in order for them to succeed. I dont know that one specific item can cause good or bad luck but I do think it affects the way one views a situation. If one had the initial outset that an object will affect their performance than it is more likely they will actually perform better. It is not the object that causes the change in performance but rather ones mental preparation. Weddings have a lot of superstition involved with them. There is the standard, something old, something new, something borrowed, and something blue concept associated with weddings, where the bride is required to collect all these items before the marriage ceremony. Committing to marriage is a large step in all peoples lives and in many cases there is insecurity as to whether one is making the right choice. As a result, people rely on superstitions to ease this uncertainty. By making sure to bring along good luck charms or doing little rituals to rid any bad luck people feel more comfortable with their weddings. For example it is rumored to be bad luck for the bride to see her groom right before the ceremony. This seems ridiculous as this one meeting does not seem to correlate with luck in the future and whether the couple will succeed. Yet people are certain to keep the bride and groom separate in order to increase chances of a good future. Some people believe that the future is predetermined and that man does not have the freewill to affect his future. However, others do believe that through certain practices or customs they can bring prosperity and good fortune. This is a common saying in South Africa amongst the Afrikaans speaking population. A Boer is a term used to describe a farmer in Afrikaans. It was utilized in the eighteenth and the nineteenth centuries in reference to white South African colonists of French Huguenot, German, and Dutch origins. (South Africa). The saying written above is used to encourage a person who encounters a problem to find a solution. What it is saying in essence is that a solution is always available if one goes about it in the right manner. The literal context uses a farmer as indicative of someones whose livelihood frequently encounters problems. Thus, urgent solutions are often required to salvage crisis situations. Hence the saying that a solution is always available if a problem should emerge. It is well known and frequently used by anyone that knows the Afrikaans language. Dereks parents used to often say it to him when he was frustrated that he could not solve something. An example of this was when he was not sure how he could manage balancing his homework, sports practices, and spending time with friends so his parents announced the saying, to tell him to make a plan. Even though the language of this saying is Afrikaans it was very commonly used in English speaking households. This was because many South Africans knew Afrikaans as it was an official language of the country until apartheid ended. I liked this saying and will often use it with my family members as I find it to be useful in many regards. Yet I have to monitor the company with which I use it as most Americans will not know Afrikaans. Although I know very few words in Afrikaans I will still recite this often and the saying seems to hold a greater significance to me if said in Afrikaans. Additionally somehow the Afrikaans saying sounds endearing while simply saying it English seems a little more harsh. Many varying occurrences have taken place that my mother has used this saying with me. A recent example was when I was helping her put all the food for dinner back in the refrigerator. There were many large containers and there did not seem to be a way to get them all in. I told my mother the dilemma and she replied N boer maak n plan. So after that comment and I took at all the containers, formed a strategy to fit everything, and low and behold they all managed to fit. The saying in not offering any advice that is out of the ordinary but instead challenging someone to rethink the situation as in more cases than not, a solution is existent. One just needs to rearrange the issue in order to find a resolution. It makes sense that a farmer was the profession chosen to make a plan. Regardless of the obstacles that are thrown their way, farmers have to make sure that their crops grow. Even with obstacles such as terrible weather conditions or substandard land/soil, they have to make sure that they can harvest crops to create a livelihood and to provide food. They have to take the circumstances bestowed upon them, even if they are not satisfied with them, and manage to succeed in the task that they initially set out to complete. I believe that this quote is very significant as holds a lot of meaning, even to people who are not fluent in Afrikaans. The idea of taking what one is given and making a plan to deal with the situation is relevant to all. We are not all given the exact circumstances or conditions that we desire and often certain events cannot be changed. As a result one needs to learn to find a method to improve upon the situation. Regardless of ones culture, geographic location, or language spoken, every person can understand this concept. “South Africa.” The World Factbook (2008). Central Intelligence Agency. 27 Apr. 2008 <http://www.cia.gov/library/publications/the-world-factbook/geos/sf.html>. Martin, Meredith. Diamonds, Gold, and War : the British, the Boers, and the Making of South Africa. New York: PublicAffairs, 2007. In 1920, one of the personal habits and customs of most Americans suddenly came to a halt. The Eighteenth Amendment was put into effect, which effectively put the end to the importing, exporting, transporting, selling, and manufacturing of liquor and alcohol. This was the dawning of bootlegging, which rapidly swept across America in the early 20th century. Paddy Murphy, according to SAE legend, was a bootlegger who was doing deals with Al Capone. During one of the arrangements, Elliot Ness and his company of crime fighters stormed in on the affair to apprehend Murphy. However, when Ness signaled for Murphy to surrender, he instead reached for a gun, and Ness shot him down. As Murphy fell to the ground, dying of a wound inflicted by Ness, he gave Ness the secret handshake that only the brothers of SAE know. Ness, an SAE himself, realized that he had killed a brother of his fraternity. Ness ordered that Paddy Murphy have an honorary burial, in recognition of his fallen brother. (Adam Block). I was told this story on two different occasions from two Sigma Alpha Epsilon members. However they are from different universities and as a result there was discrepancies in there versions. Both informants were uncertain of the exact details of their stories, but there were still distinct differences in their versions. Although the story began about one man, over time as the story has been retold it has been slightly altered and a result the same story takes on many varying versions. They both believed to some extent that they story had a basis of validity but had been exaggerated over time. The story sounds logical in some regards to me as historical facts are incorporated in the story. The beginning of the story sounds reasonable yet the ending where the man does the Sigma Alpha Epsilon secret handshake sounds a little but suspicious. It did not seem clear how Paddy Murphy knew that Ness was a member of his fraternity in order to give the secret handshake. Paddy Murphy did commit an illegal act because he was a brother to Ness he was given a proper burial and was treated with respect after his death. The idea of a fraternity stipulates that each brother needs to support one another. Ness would not have provided a proper burial for the fallen Paddy Murphy had it been a person with whom he had no relation with. Yet as soon as he realized it was one of his brothers the situation changed. The Sigma Alpha Epsilon fraternity house most likely uses this story to illustrate to its members the strengths of the bonds that exist between fraternity members. It emphasizes the ideas of understanding and respect when it comes to situations involving fraternity brothers. This story has been adapted over time and most likely if members of this fraternity house from other schools would recite this story there would be minor modifications to it as well. The story is used not for its plot and exact details but more for the ideals that the story represents. Wont you come for Tea Sir? Where did you catch the cold Sir? How many polar bears did you catch Sir? This is a silly, frivolous little rhyme that girls used to say while they played a game that went as follows. A tennis ball was inserted into a cut off section of a pair of stocking. One would position oneself next to a wall. Then one would hit the ball from one side of the body to the other. Every time the word sir would come up in the rhyme that person would lift her leg which turned out to be the left leg and hit the wall with the ball right underneath the lifted leg. The goal was to go faster and faster and not get entangled with the ball when lifting ones leg. However as an adult reflecting back on the rhyme, my mother, Robyn, still believes that there is no special meaning to this game and to the rhyme said with it. The concept of drinking tea is a common occurrence in South Africa where this particular rhyme was learned so that why it is incorporated as it appeals to the typical South Africans lifestyle. I agree that to the people that play this game the rhyme holds no significance, yet I do believe that when one fully analyzes it, a meaning can be found. The repetition of the word sir that is utilized in every line could be used to show the respect that was impressed upon children to bestow upon others. Although it was meant to be just a game, it is taught to children to incorporate an element of reverence by using the word sir so frequently. Additionally I agree that tea was incorporated as tea drinking is such a common beverage found in South Africa. As opposed to the American culture where people will often meet up with friends of family for lunch or dinner, many South Africans will get together simply for a cup of tea. This poem is quite simplistic and mainly serves as a game that consumes a child for an extended period of time even if company is not present. Yet when further examination occurs a small significance in certain words can be found in this lighthearted game. When will be my next surprise? This little verse has been passed down from generation to generation. Every time a flock of birds flew by in the sky the first child to see it would announce it to the rest of the group or the other members present. Anyone else in the group then randomly shouted out a time. The person who saw the birds originally would then wait for the time to come and see if anything special happens and if their surprise occurs. My mother originally played this game in South Africa as a child and then taught me and my sister the game at an early age. She cannot recall from whom she learned the poem but rather it was a well-known game by her, her family, and all of her friends. Although for her there was no deeper meaning, she taught it to us as it caused excitement and anticipation. Although she knew that the future occurrences were not based off one person reciting this little poem, it was still an enjoyable as well as fun activity to participate in. Although a few people might be aware of this poem in the United States, I have never heard anyone but South Africans recite it. Mostly, I have heard this quote used by my immediate family members throughout my childhood. However I never considered the meaning behind the saying. It was something I never questioned but rather just a comment that I began using myself. However upon hearing this quote used a few weeks ago by my mother I reconsidered the meaning behind the quote and realized the incongruity in the wording. Birds are often an omen foreshadowing something bad that will be occurring. Therefore it is interesting that the surprise that the person is referencing is a good surprise. It is ironic that a flock of birds causes excitement and hope for a pleasant occurrence in the future. Yet a flock of birds signifies that a handful of individual birds have come together in order to fashion one assemblage. Instead of flying alone they have joined forces to create one large force. Metaphorically speaking, eyes are often the mirror to the soul and so it is possible that the quote serves a purpose of showing the inner desire for acceptance and a group, and the positives that will occur when working collectively with other individuals. For every minute you remain angry, you give up sixty seconds of peace of mind (Emerson). The Jewish holiday of Passover tells the story of how the Jewish slaves escaped from Egypt. They were in such a hurry to leave and escape their enslavement that their bread was unable to rise. As a result they had unleavened bread. It has become a tradition that when Passover comes around each year the Jewish people not only recite the Passover story but also do not eat leavened bread for eight days in commemoration of the exodus from Egypt. The product that it is eaten in lieu of bread is termed matzah. This unleavened product is also eaten at the Jewish Seder. Seder is a Hebrew word which translated in English means order as the night follows a specific order and is repeated in this order in all households. Towards the finalization of the night the matzah is hidden and the young children will vehemently rummage through the house to try and find it. A small gift is then given to the person who finds the hidden matzah. Depending on the family the gift can range from a monetary reward to simply a verbal congratulatory remark. There are no people under the age of thirteen (bar mitzvah) at the Seders that I attend and as a result everyone is considered an adult. Since there is no one of the correct age left to search for the matzah a new tradition has been started in my family. Each person is given a type of matzah sandwich. Instead of a filling being placed in between the two matzah pieces, a significant quote is placed inside. Although these quotes have nothing to do particularly with the Jewish religion, they are selected with the sole purpose of making us reflect on our lives and find the connections with the Passover Seder. My sister, Megan Lichter began this tradition a few years ago and since then it has become a standard part of the Passover evening. She wanted to find a way to have all people involved. Not everyone that attends our Seders is a practicing Jew and there are even a few people that attend that have no affiliation to Judaism at all. As a result these secular quotes can be understood by all attendees of the Seder. Although the quotes are carefully selected to relate is some way to the Passover story, people will interpret the connection in varying ways regardless of their religious connection. The quote featured above by Emerson was a quote that was included in the matzah sandwiches this year. Upon discussion the group came to the conclusion that instead of living life with anger and regret, one should embrace each moment. It is similar to the idea of living each moment as if it was your last. We only have a minimal amount of time to live and therefore one should not waste the precious moments with anger. My sister, Megan found it to have a relation to Passover in that we were an enslaved population for many years. This holiday is about remembering but it also embraces our freedom. We should utilize and live each moment as we are so blessed to be given freedoms. I agree with her analysis as it logical and has a legitimate connection to the Passover Seder. Annotation: For more information one can read the Haggadah by Moshe Lazar. Matzah is mentioned throughout the entirety of the Haggadah. Lazar, Moshe. Ladino, Passover, Haggadah. Los Angeles, 2006. This is a camp song that Lauren learned at a sleep away camp that she attended every summer. All the campers came to learn this song. It is meant to be sung extremely quickly. It follows an AB AB rhyme scheme which allows it to be read with increased speed. It flows very well and the rhyme scheme also aids in learning the song. The words are basic are there are not too many syllables in each word as the song is meant to be simple and straightforward. It is meant to be sung by campers of all ages and is usually sung when the entire camp gathers together such as after meals in the dining hall. Singing the songs is one of Laurens favorite parts to camp and it is one camp tradition that never changes. The same songs are sung each year and it has become a part of camp that many campers look forward to. Although this particular song has no specific relevance to her, it is just something that she enjoys singing. After she sang this song to me I tried to analyze the words in search for a deeper meaning to this song. Although I initially thought that this song had no significance, the more I looked at these words, I came to realize something unique about this song. Camp represents a time for a child to embrace his or her youth. Although many children do mature from being away from their families and around new people, in general camp is mostly about having fun and enjoying ones childhood. There are no real stresses when one is away at camp. When one looks at the words of the song it clear that the person believes he or she can buy the doughnut with a coin with the center that is missing because a doughnut also has a missing center. This is a representation of a type of childhood innocence, where everything just seems simplistic and easy. The song represents the ideals that summer camp stresses; a time for innocence and lighthearted and clean fun. There is a recognized lady in most communities in Jordan who has a talent in reading the pattern of the ground Turkish coffee beans left behind after drinking coffee. She has become the designated person to do this after every meal. She supports a saucer on top of the cup and then turns the cup upside down. The pattern of ground coffee left in the cup is she what she interprets. When she read Yousef Ghandours coffee she found seven columns in the cup and between two of them was a large space. She interpreted the large space to be a window and she predicted that he would be at a meeting with a group of seven other people. The window was the opportunity that would come out of the meeting. This appeared to come true some time later when he met with several physicians who offered him a position to work with them. There are many truths that she has told people from reading their coffee cups. If she gets bad vibes from the coffee cup of the person that she is reading about, she wont continue. This has become a ritual at social gatherings especially after the meal. Although this particular case seems like coffee cup reading is valid, usually I would not believe in predictions for the future. With fortune cookies, horoscopes, and fortune tellers it appears as if they select a general prediction for the future that in some way each person can make it apply to him or herself. Many times I feel that my prediction did actually come true but when I actually think about it many circumstances could apply to the prediction. Diana expressed that the most vivid memory she has of her youth took place when she was four years old. The Saturday night before Easter Sunday she was really excited for the events to come. She was unaware at that moment that her mother had spent days hiding items around the house that she said the Easter bunny had brought. Her mother went to great extremes to make the items very varied. For instance, she hid popcorn bunnies in her shoes, candied eggs in every nook and cranny, and fun little items all over the house. On Easter Sunday she would give all the children prettily decorated baskets for all the items they found. She made it so credible that the Easter bunny had really visited the Smiths house. For years, Diana believed that this was in fact true. Apparently her mother stayed up really late in the night to hide everything and had to document where she placed all the edibles, in case the children were not able to find them all. Diana has continued this tradition for her children and her grandchildren for as long as they will continue to believe it as Diana believes that fantasy is a necessary part to life. I agree with Diana about how crucial fantasy is during childhood. Although at some point there is a time when children need to grow up, there is no need to dampen their imagination and hasten their maturation when they are young. Every child develops at different times but it is important to have a time in life when ones imagination is allowed to run wild. By spoiling the excitement of the Easter Bunny at a young age wont assist with ones development in the future. It will only serve to constrain their imagination at a time when it is essential to be active and vibrant. Obviously not all people celebrate Easter and as a result not everyone has a period of their childhood where they believe in the existence of the Easter Bunny. However this same concept of imagination and creation can be comparable with children who have imaginary friends. Having an imaginary friend would be unhealthy if it continues past a certain stage later in life but it is deemed acceptable when one is young. Imagination has become such an indispensable fixture in childhood that there are not only religious beings that are said to be existent (such as Santa Claus and the Easter Bunny) but secular beings too (such as the tooth fairy). Imaginary creatures stimulate a sense of excitement that will only last for such a minimal period of time in ones life and as a result this time period should not be hindered but instead promoted and encouraged. For more information read the chapter about Easter in the Modern time (the Easter Bunny will be featured). Bradshaw, Paul F. Passover and Easter : Origin and History to Modern Times. Notre Dame: University of Notre Dame P, 1999.